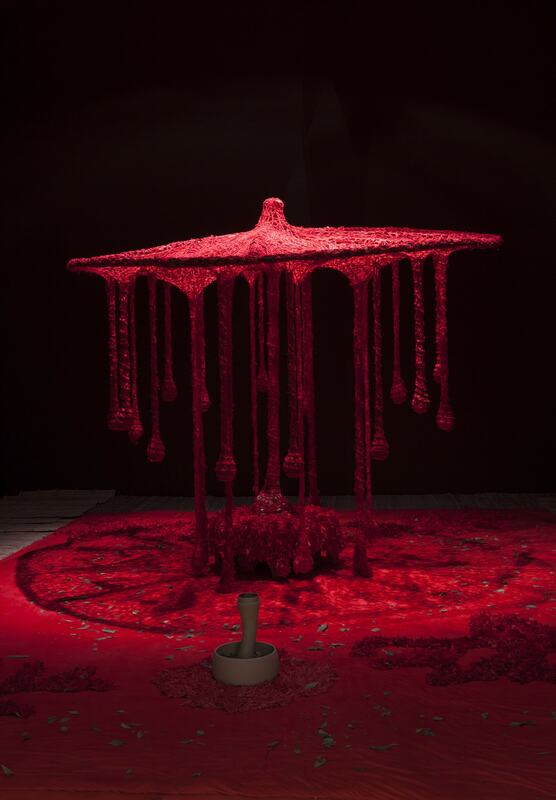 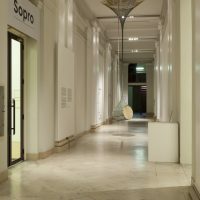 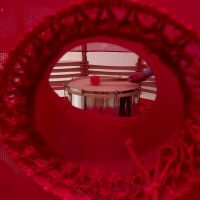 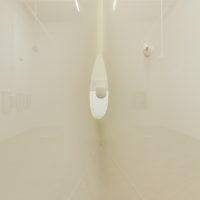 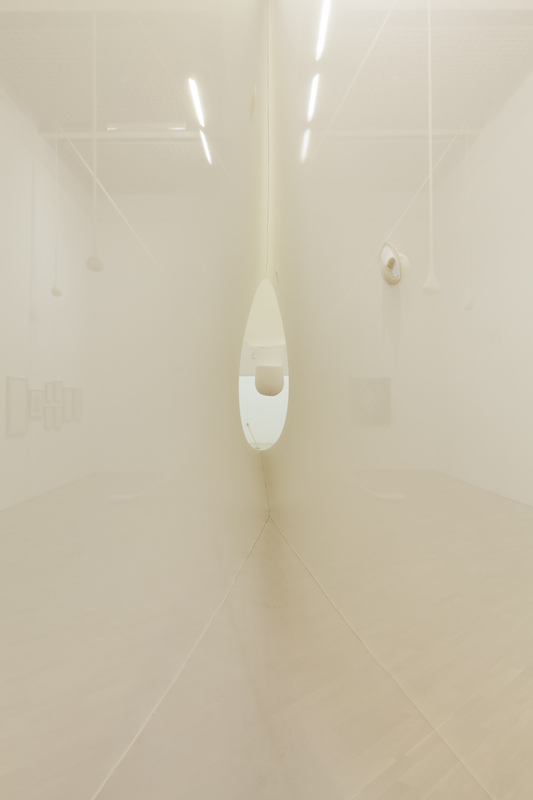 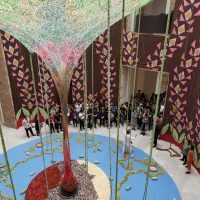 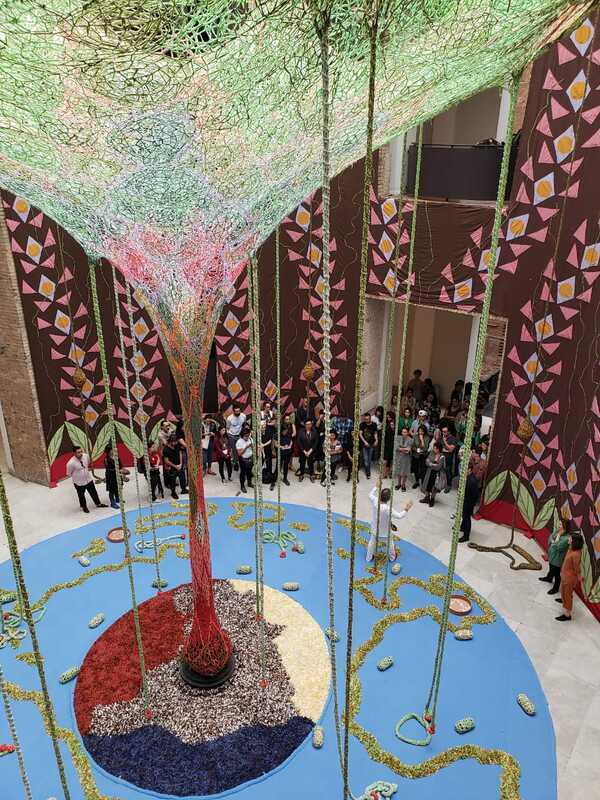 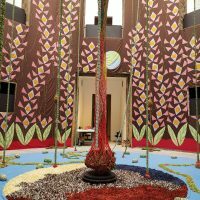 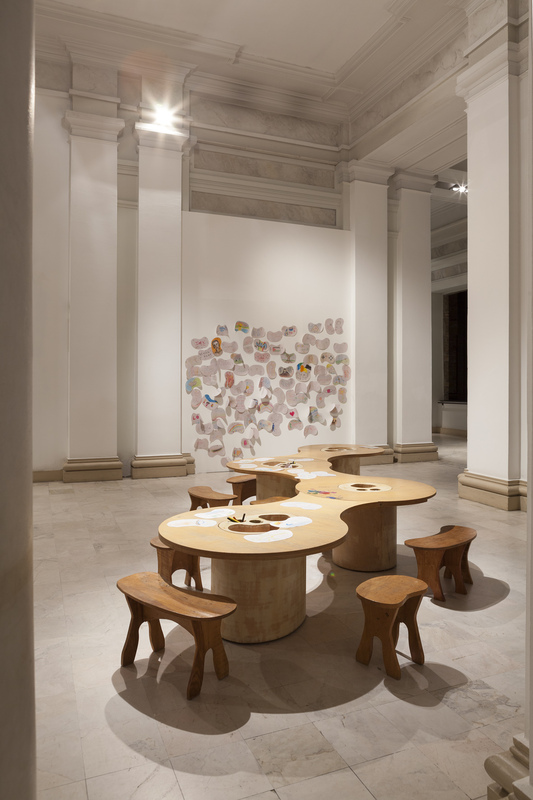 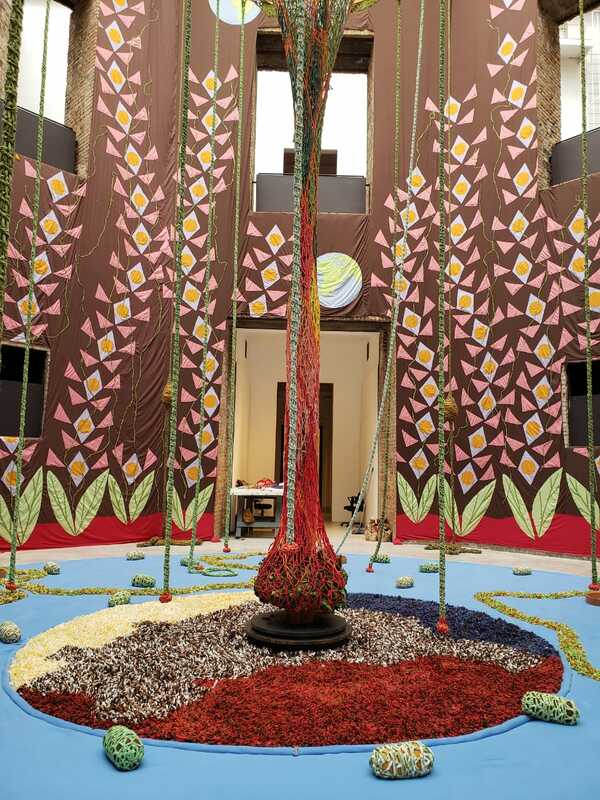 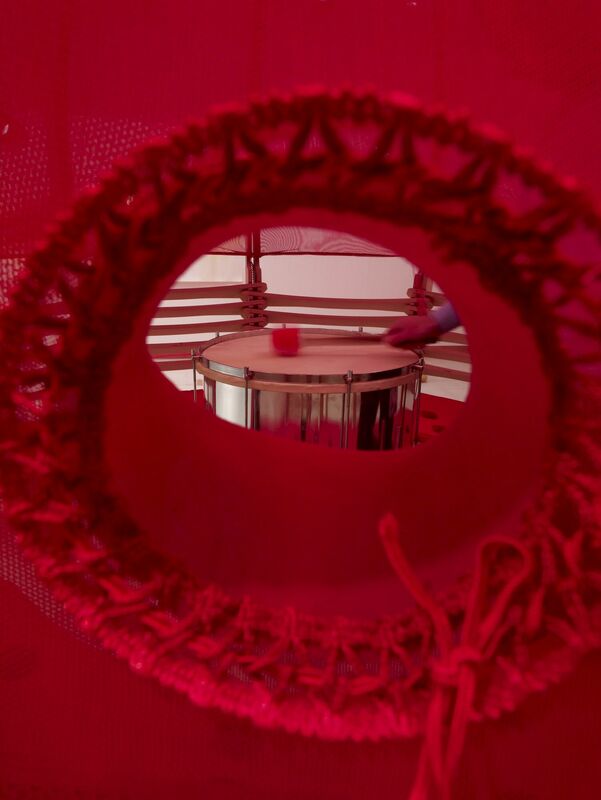 The Pinacoteca of São Paulo, a museum of the São Paulo State Secretariat of Culture and Creative Economy, and Banco Bradesco, presents the exhibition Ernesto Neto: Sopro [Blow], which will occupy the Octagon, seven rooms on the first floor and other spaces of the Pina Luz building. 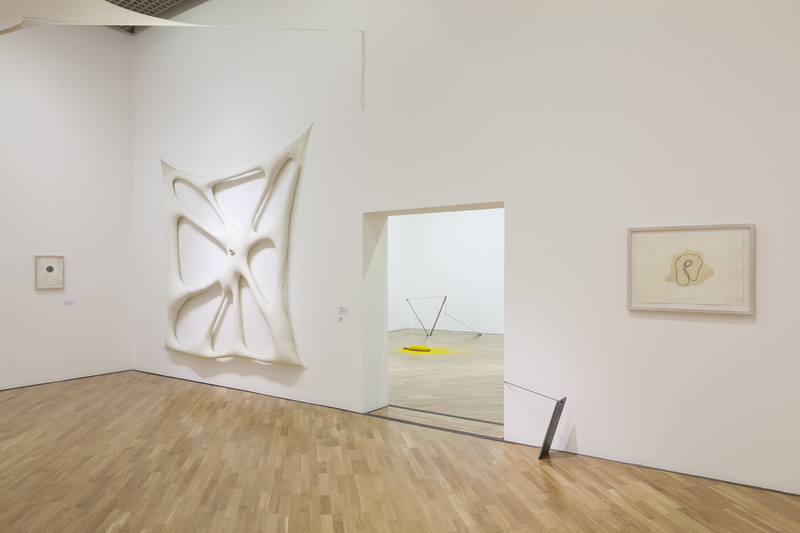 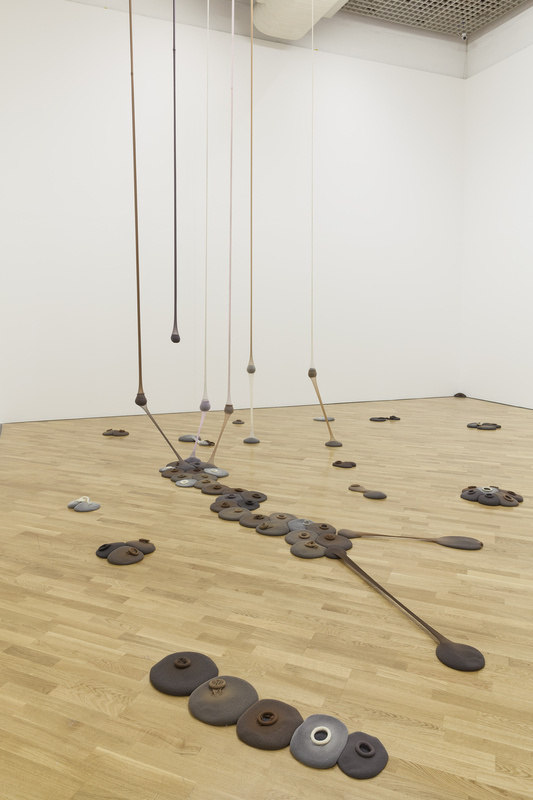 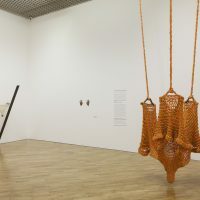 Curated by Jochen Volz and Valéria Piccoli, respectively director and chief-curator of the museum, the retrospective brings together 60 works by one of the most prominent names in contemporary sculpture. 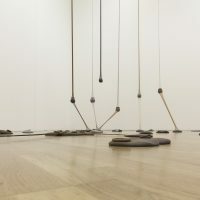 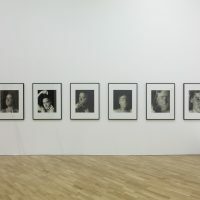 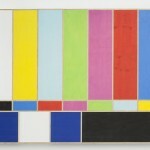 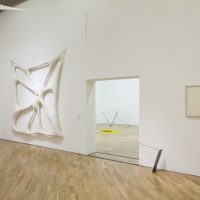 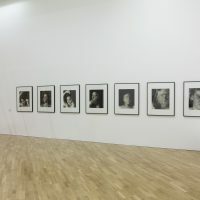 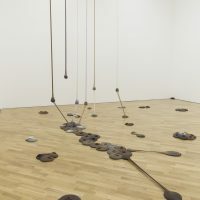 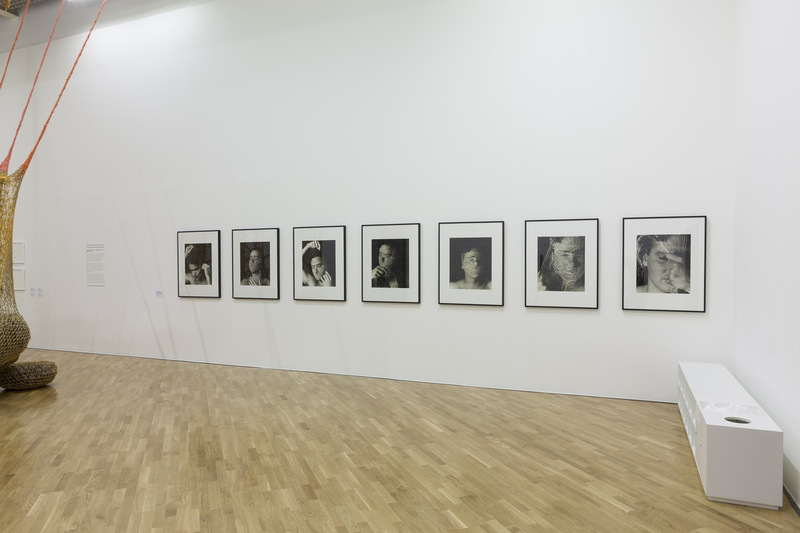 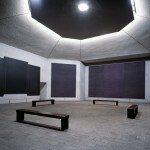 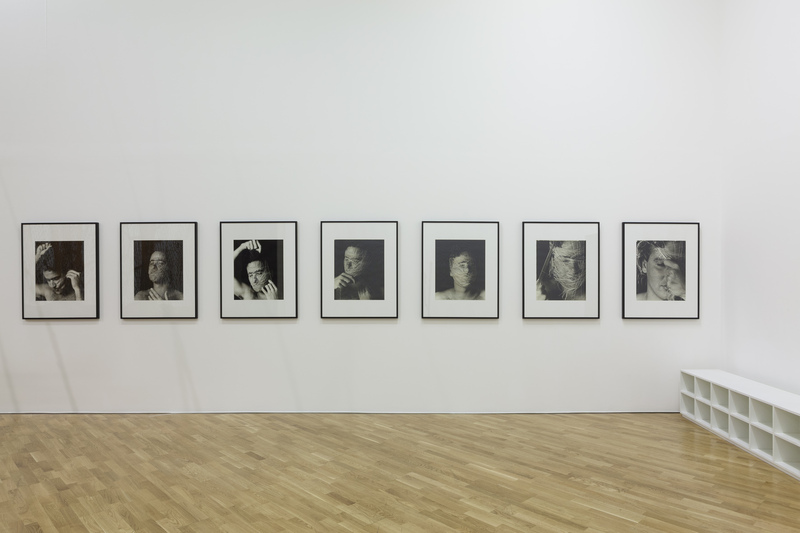 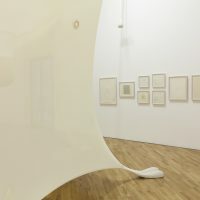 Since the beginning of his career, in the 1980s, the artist has been producing a body of work that sets in motion a dialogue between the exhibition space and the various dimensions of the spectator. 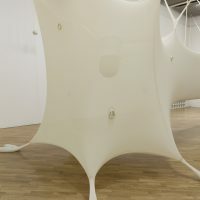 Bringing into play his unique comprehension of Neo-Concrete heritage, Ernesto Neto (Rio de Janeiro, 1964) unfolds his initial sculptures—elaborated from materials such as polyamide stockings, polystyrene spheres, spices and herbs—into large, immersive installations that proposes to the spectator a space for conviviality, for taking a breath and for fostering consciousness and awareness. 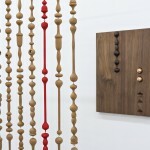 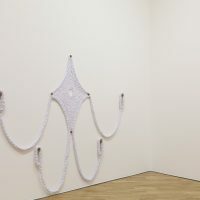 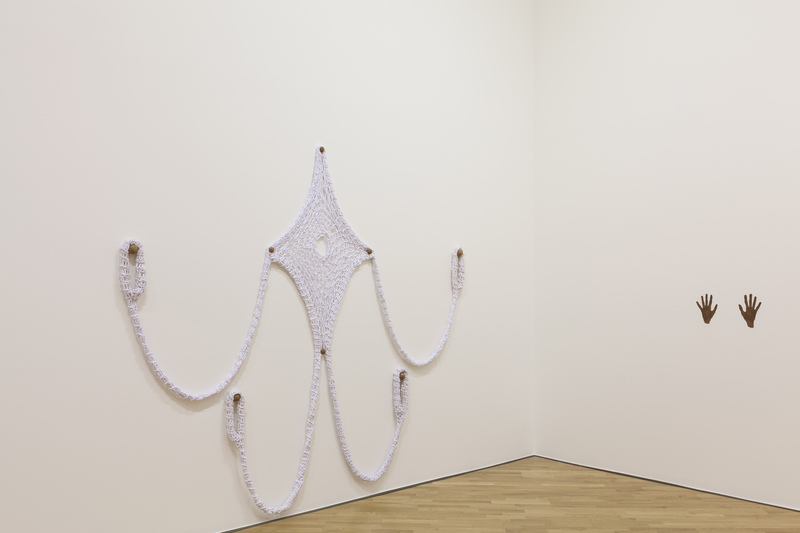 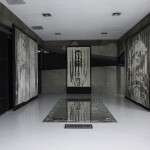 His sculptural practice is engendered by the tension embodied in textile materials and in handicraft techniques like crochet. 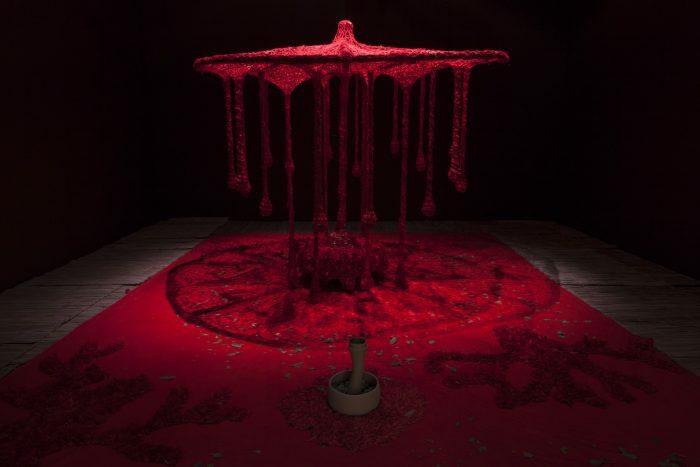 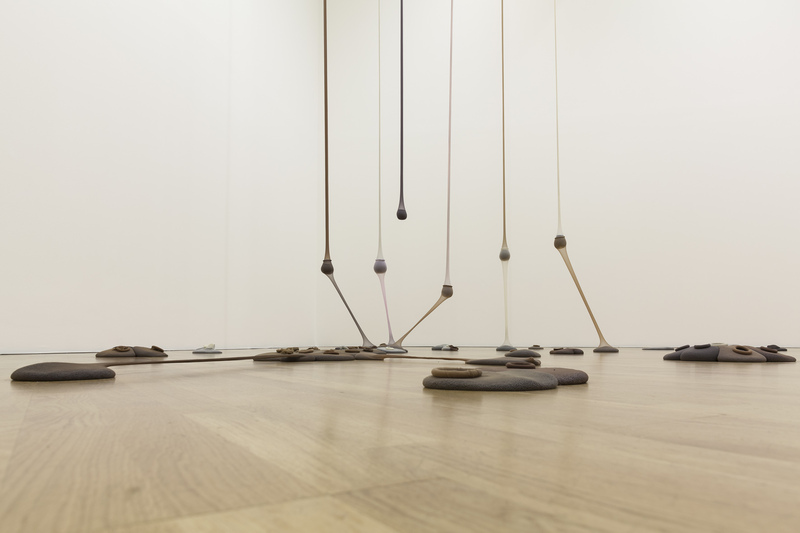 These great ludic structures accommodate rituals and actions that reveal the artist’s current concerns: the affirmation of the body as an element that cannot be dissociated from the mind and from spirituality. 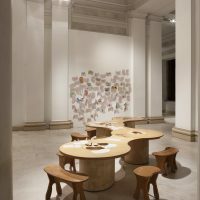 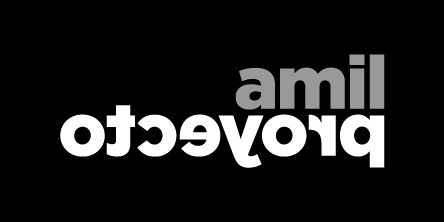 The show is accompanied by a catalog and is sponsored by Banco Bradesco, Escritório Mattos Filho, Veiga Filho, Marrey Jr and Quiroga Advogados, Iguatemi São Paulo and Havaianas. 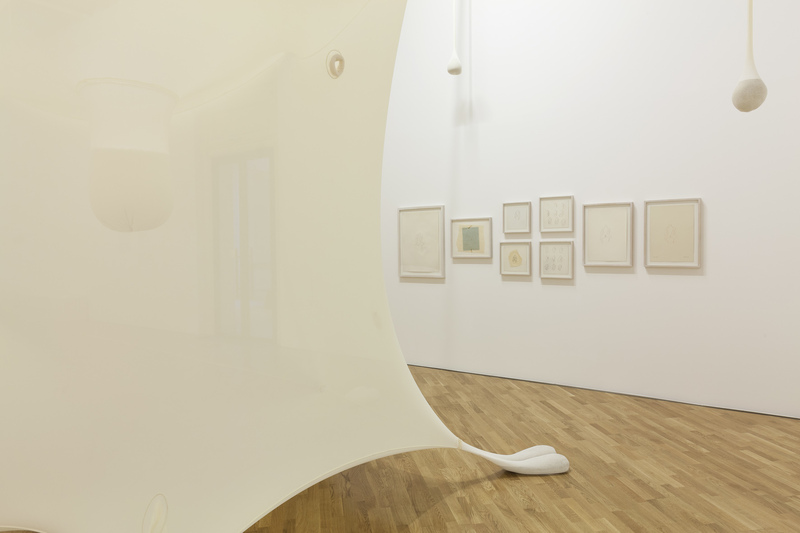 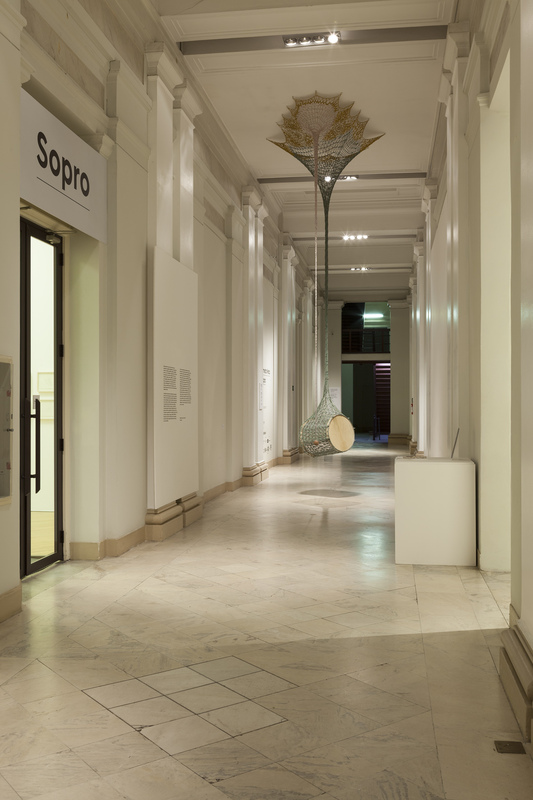 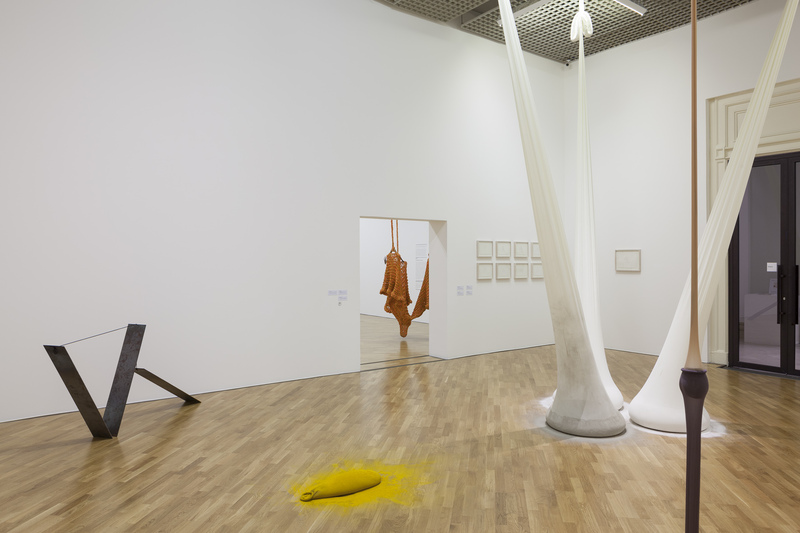 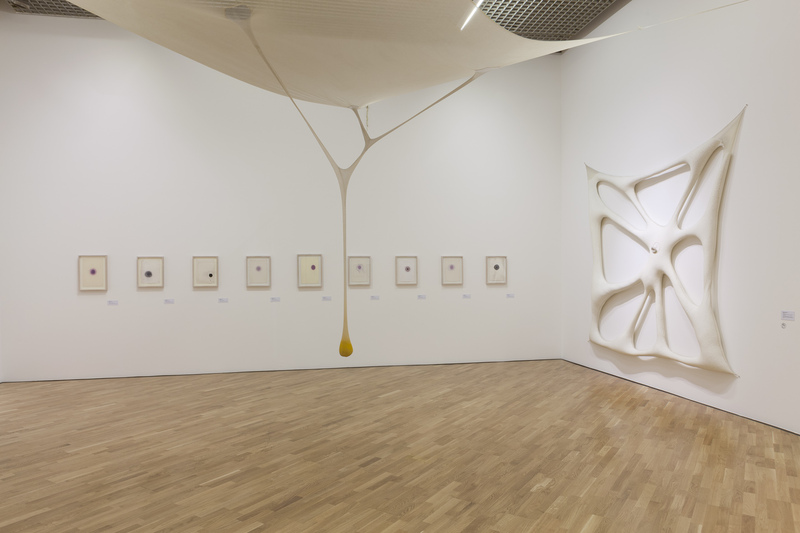 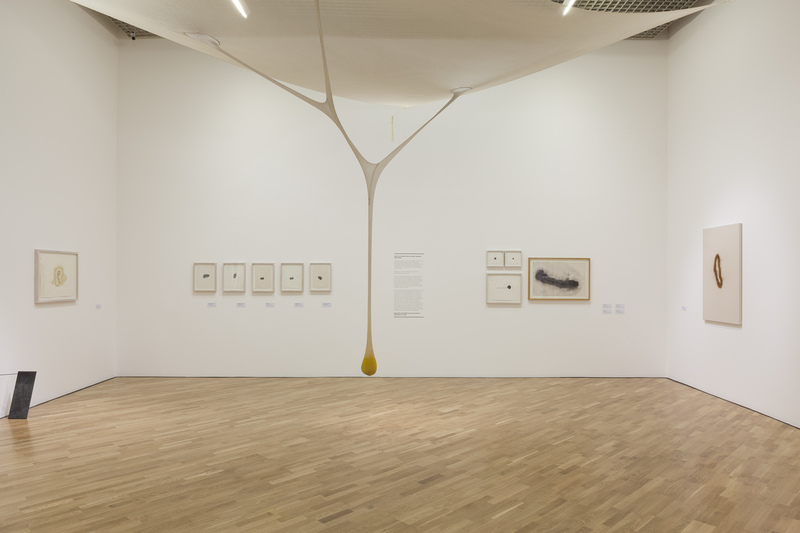 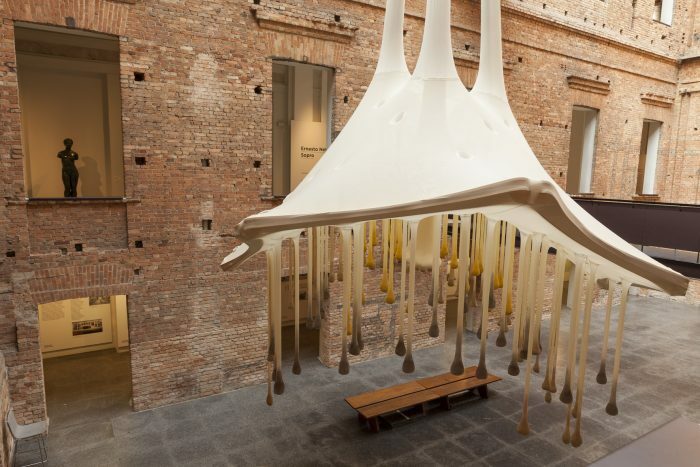 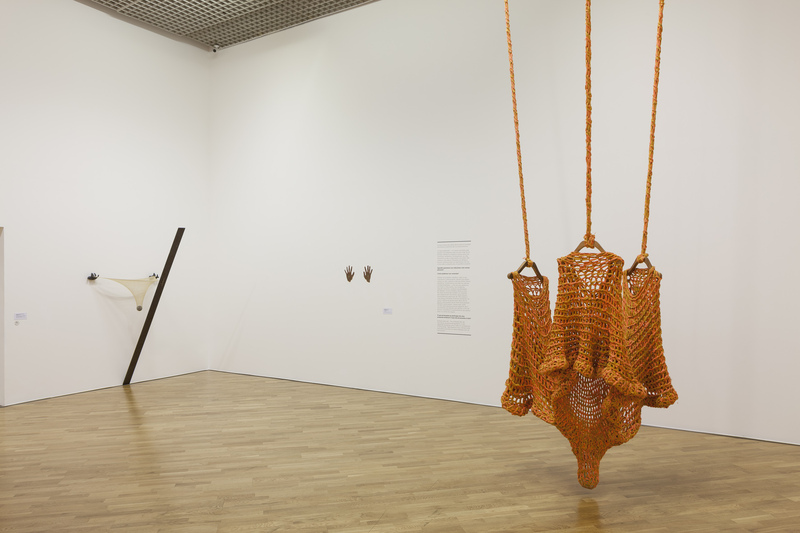 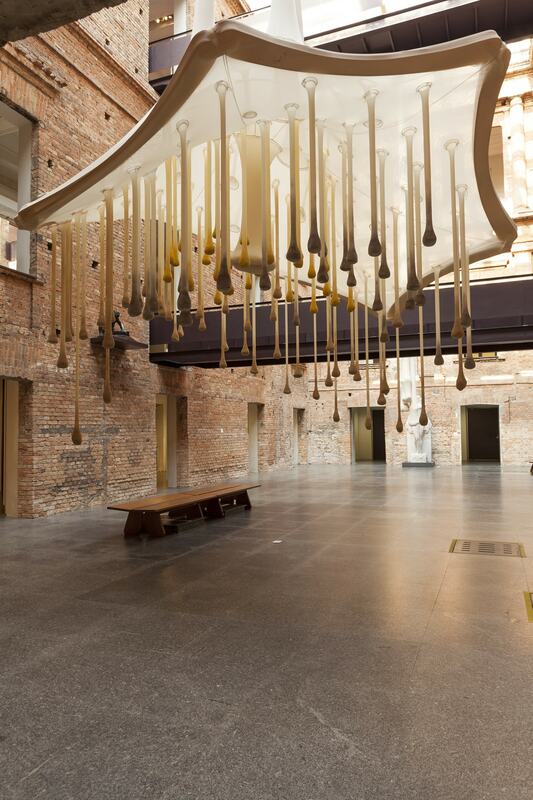 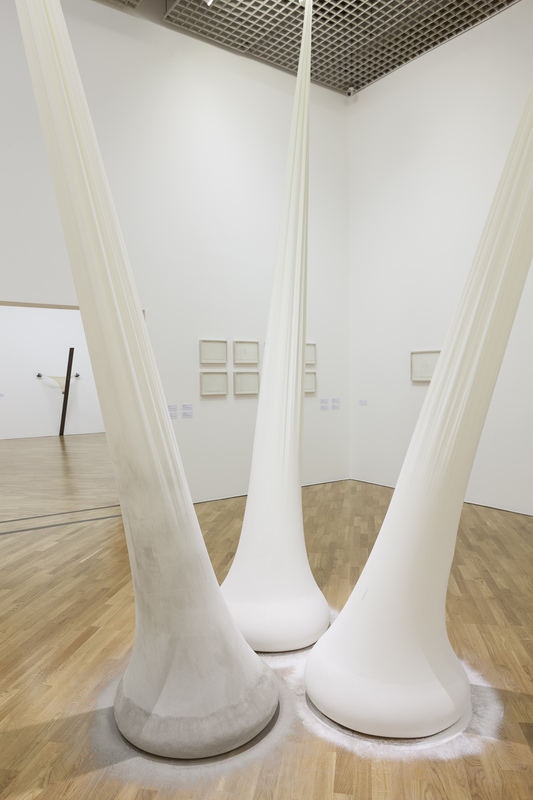 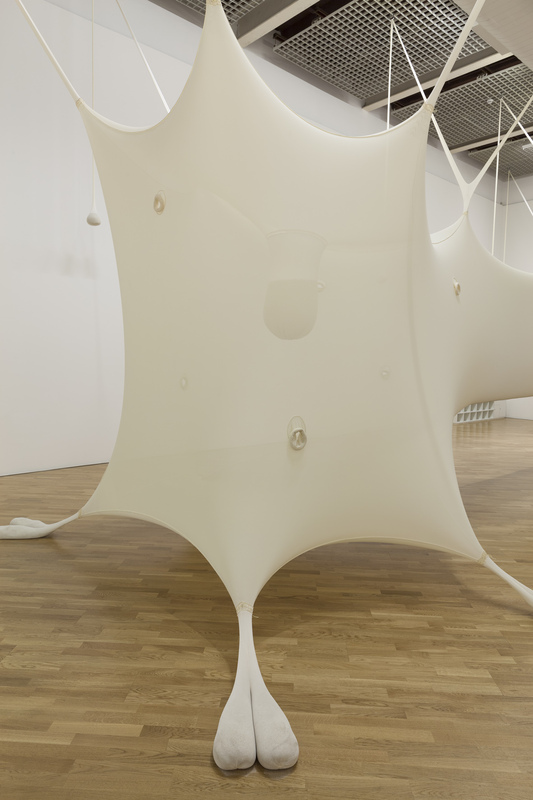 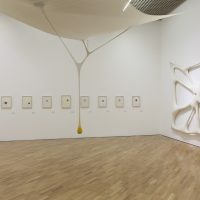 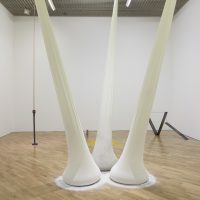 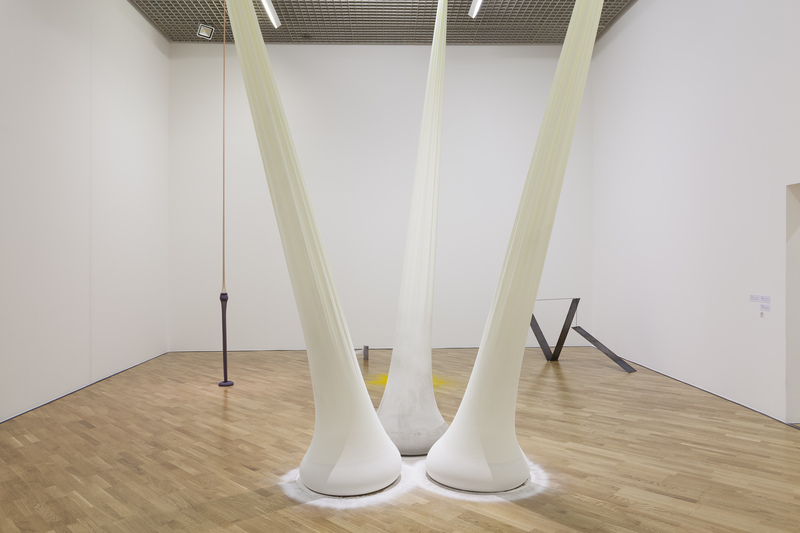 Ernesto Neto: Sopro [Blow] is part of the Pinacoteca’s 2019 program, dedicated to the relationship between art and society. 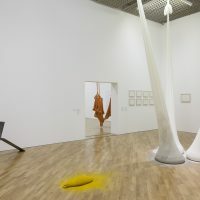 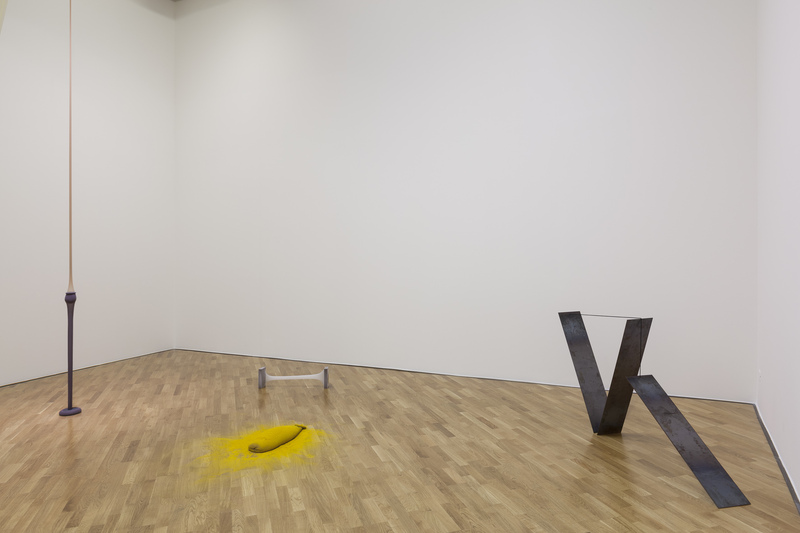 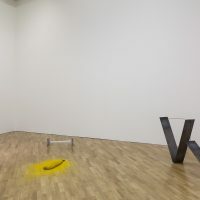 Through its calendar of events, the institution proposes to examine the social dimensions of art practice, presenting exhibitions that redimension the idea of social sculpture, to use the term coined by the German artist and activist Joseph Beuys. 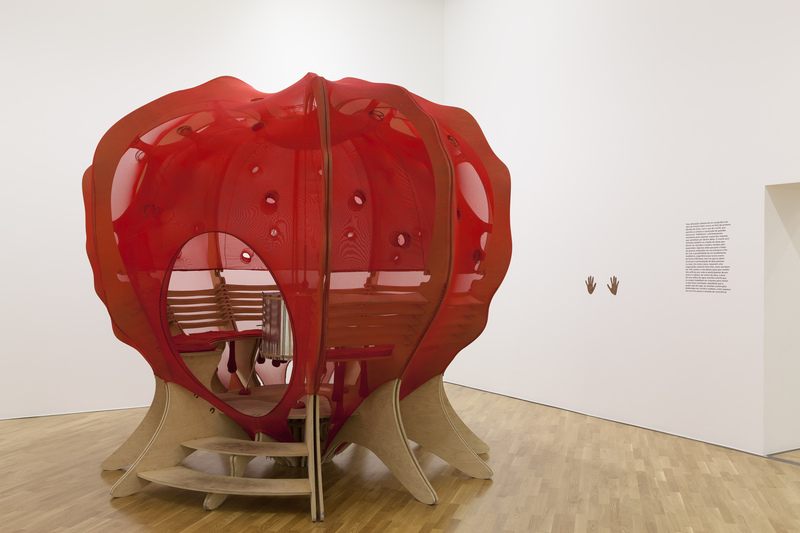 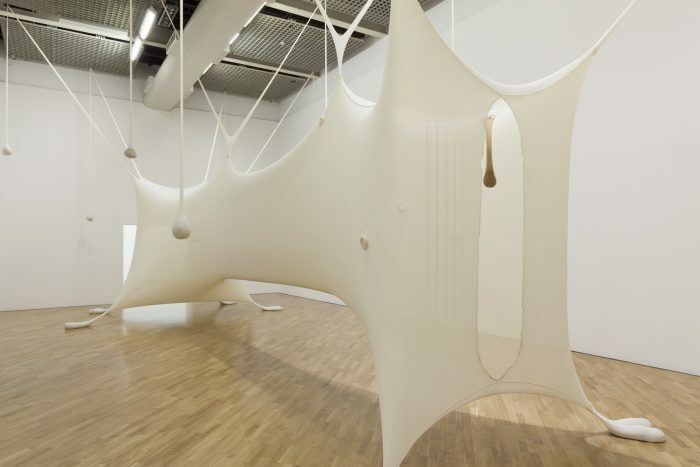 Ernesto Neto was born in 1964 in Rio de Janeiro, where he lives and works. 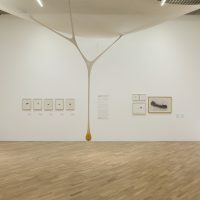 Among his recent solo exhibitions are: GaiaMotherTree, Zurich Main Station, presented by Fondation Beyeler, (Zurich, Switzerland, 2018); Boa, Museum of Contemporary Art Kiasma (Helsinki, Finland, 2016); Rui Ni / Voices of the Forest, Kunsten Museum of Modern Art (Aalborg, Denmark, 2016); Aru Kuxipa | Sacred Secret, TBA21 (Vienna, Austria, 2015); The Body that Carries Me, Guggenheim Bilbao (Bilbao, Spain, 2014); Haux Haux, Arp Museum Bahnhof Rolandseck (Remagen, Germany, 2014); Hiper Cultura Loucura en el Vertigo del Mundo, Faena Arts Center (Buenos Aires, Argentina, 2012); La Lengua de Ernesto, MARCO (Monterrey, Mexico, 2011) and Antiguo Colegio de San Ildefonso (Mexico City, 2012); Dengo, MAM (São Paulo, 2010). 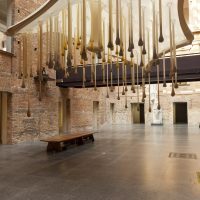 It is also worth highlighting his repeated participations at the Venice Biennale (2017, 2003 and 2001), as well as at the Biennales of Lyon (2017), Sharjah (2013), Istanbul (2011) and São Paulo (2010 and 1998). 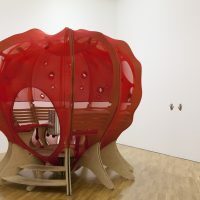 His work is in many important collections worldwide, including: Centre Georges Pompidou (Paris), Inhotim (Brumadinho), Guggenheim (New York), MCA (Chicago), MOCA (Los Angeles), MoMA (New York), Museo Reina Sofía (Madrid), SFMOMA (San Francisco), Tate (London) and TBA21 (Vienna). 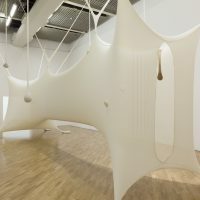 Bringing into play his unique comprehension of Neo-Concrete heritage, Ernesto Neto (Rio de Janeiro, 1964) unfolds his initial sculptures—elaborated from materials such as polyamide stockings, polystyrene spheres, spices and herb—into large, immersive installations that proposes to the spectator a space for conviviality, for taking a breath and for fostering consciousness and awareness. 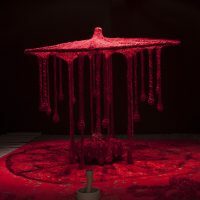 His sculptural practice is engendered by the tension embodied in textile materials and in handicraft techniques like crochet. 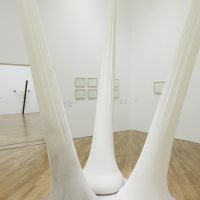 These great ludic structures accommodate rituals and actions that reveal the artist’s current concerns: the affirmation of the body as an element that cannot be dissociated from the mind and from spirituality.